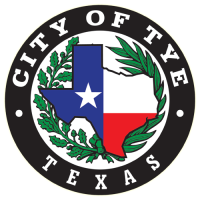 Cases heard by the Tye Municipal Court are Class C misdemeanor violations that have penalties of a fine only. Jurors are selected at random. As a juror, you must be fair and impartial. Your actions and decisions must be free of any bias or prejudice because your actions and decisions are the foundation of our judicial system. The Texas Supreme Court has rules to assist you in your conduct as a Juror, which will be given to you by the Judge. In the courtroom, jurors are questioned under the supervision of the judge. A juror may be excused from the panel if it is shown that the juror cannot act impartially concerning the case to be heard. In addition, each side is allowed to remove a given number of jurors from the panel without having to show any reason. The jury will consist of the first six of the remaining jurors on the panel. Under the justice system, you may be questioned by each of the lawyers or the defendant if he or she is representing himself or herself before they decide to remove a certain number of jurors from the jury panel. For example, you will be asked questions to see if you’re connected to the trial or if you have any prejudice or bias toward anyone in the trial. These questions are not intended to embarrass you, but rather to help in the jury selection process. After you have been selected as a juror on a trial panel, if you have a special need or an emergency, please advise the bailiff or court personnel. A court session begins when the bailiff announces the arrival of the judge. Everyone in the court rises. The judge takes his or her place on the bench, and the bailiff announces the opening of court. A similar procedure is used when court adjourns. Common courtesy and politeness are safe guides as to the way jurors should act. Of course, you will not be permitted to read newspapers or magazines in the courtroom, ALL cell phones and pagers MUST be turned off, and you should not carry on a conversation with another juror in the courtroom during the trial. You must be treated with consideration and your comfort and convenience will be served whenever possible. If there is an emergency or a matter affecting your service, you should bring it to the attention of the bailiff. In the event of a personal emergency, notify the judge through any court personnel. You must pay close attention to the testimony. You are sworn to disregard your prejudices and follow the court’s instructions before rendering a verdict according to your best judgment. You should keep an open mind; jurors should not discuss the case even among themselves until it is finally concluded. Therefore, it is wise for you to not even attempt to make up your mind on the facts of a case until all the evidence has been presented to you, and you have been instructed on the law applicable to the case. If you cannot plainly hear and see the witness, attorneys, and/ or the judge, do not hesitate to advise the judge. Towards the close of the case, the judge will give you some written instructions. You MUST listen to the instructions very carefully and follow them strictly. Your first duty upon retiring at the close of the case is to select your presiding juror. The presiding juror acts as Foreman. It is his or her duty to see that discussion is carried on in a sensible and orderly fashion, to see that the issues submitted for your decision are fully and fairly discussed, and that every juror has a chance to say what he or she thinks upon every question. Where ballots should be taken he or she will see that it is done. In selecting your presiding juror, it is best to select someone of experience and general knowledge. Discussion in the jury room should never be so loud that it can be heard outside. Until a verdict is announced, no outsider should know what goes on in the jury room. If any papers or other things marked as “exhibits” are used in your deliberations, care should be taken not to change them in any way. No marking should be put on them. Judges and jurors must be patient and careful not to form conclusions until they have heard all the evidence, have listened to the arguments analyzing that evidence, and have received the instructions of the court of law. If, in considering the case in the jury room, there is disagreement as to the meaning of what the judge instructed you, the jury may ask for further instructions. Such a request must be reduced to writing by your foreman and delivered to the bailiff. The bailiff will notify the court that you have a request and you may be brought back into the courtroom, where in the presence of the attorneys your request for further instructions will be handed to the court. The importance of your position as a juror cannot be overstated. The conclusions you make as a juror are critically important. Each juror must take his or her duty seriously to serve and serve well.